As we lead up to Labor Day, and all the barbecues that go along with it, I thought it would be fitting to write a post about beer. That’s right, beer and barbecues. I don’t really drink much, but I feel like having a burger at a barbecue sometimes requires a beer. ;-) A few weeks ago, we had some of our friends over for a barbecue. One of my friends, Chris Sullivan, walked in and I noticed he had brought a mini cooler with some beer. As we started the festivities, Chris asked if I wanted a beer. “Sure, I said, what do you have?” He took out a Pabst Blue Ribbon (PBR) and handed it to me. 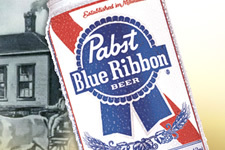 –I’ll pause my story here for a second.– Pabst Blue Ribbon? Are you serious? Did I time warp back to college? Are we stocking a fraternity party? Seriously, I was not ready to hear that brand! Then it hit me…Chris knows his alcohol. He’s a connoisseur of beer and wine. Could Chris be on to something?? Back to the story. I looked at Chris grabbing the red, white and blue can of PBR, and I asked, “Is this good?” Chris didn’t even pause. “It’s the best value on the beer market”. It’s an outstanding beer and it’s only $6 for a 12 pack. “OK, Chris, I’ll give it a shot. “ I took a drink of PBR and let me tell you, it was good. No, it was darn good! As I thought, Chris knew his stuff. Then we spent the next 10 or 15 minutes talking about Pabst Blue Ribbon, the awards it has one, how long it’s been around, etc. I also brought one over to my wife. She loved it too. And, as I looked at the 12 packs that had cost me $15 each sitting on the sidelines of our party, I couldn’t help but think that PBR may be the greatest barbecue find on the face of the earth. Yes, a bit dramatic, but I was blown away. How did Chris’s first generation WOM impact PBR? Well, now I won’t shut up about Pabst Blue Ribbon. I’ve told dozens of people about it already, including my father in law, my brother in law, my friends and coworkers, and even random people buying beer. I’m serious, I think it’s a shame that most people don’t know how good PBR is! So, between me and Chris, PBR has 2 brand evangelists that are spreading the word like wildfire. Imagine if PBR had 100, 500, or 1000 evangelists like Chris spreading the word. Link in a PBR ambassadorship program and they’ve got themselves a serious WOM campaign. PBR, if you are listening, act on this…and fast. As a marketer, I’d be shocked if you couldn’t increase revenue significantly if you launched a program like this. Why? Because you have an outstanding product and most people don’t know it’s that good. Your brand needs help. To summarize, if your product has a brand perception problem, and you truly believe that you have a great product, tap into your loyal customer base for help. My guess is that they will be happy to help you. Sure, you should structure a WOM program, but the benefits should greatly outweigh any cost involved. And, the beauty of brand evangelists is that they don’t go away when your advertising spend goes away (like paid search, tv advertising, display advertising, etc.) Chris is a powerful force of WOM for PBR, but I ask you…how many Chris’s are out there waiting to be unleashed on their respective communities? In marketing terms, it’s low cost, high value communications, with high impact results. Why wouldn’t you try this? Now go out there and try some PBR during your Labor Day picnics! You won’t be disappointed. Feel free to come back to this post and let me know what you think of the beer. I’d love to hear your thoughts. With all of the hype about the “Google Killer” Cuil over the past few weeks, I definitely wanted to give it a little time before officially commenting. When I heard a rival to Google was launching, I was absolutely intrigued, to say the least. I love Google, but I’m not sure any company should have 70% market share in any industry! :) That said, I never thought Cuil could hit the scene and pose a serious threat to Google, but my hope was that it could be a solid alternative to the search giant. The problem for Cuil, or any Google competitor for that matter, is that gaining users doesn’t entirely have to do with the quality of search results (although that is an important factor). Google is so ingrained in our society that it’s going to be hard for any search engine to stroll in and make a dent in big G. I’m neck deep in search engine marketing, including both SEO and SEM, so you bet I’ll try it out. But ask my mother if she knows of another engine… I’ll save you the time, she doesn’t. And let’s face it, Google does an incredible job with Search. It’s not like they provide horrible results with no variety. People wouldn’t use it if it did! More on that later. So what do I think of Cuil? I’m actually going to let the data do the talking. I tested out both Google and Cuil using the same search terms with the goal of viewing the relevance, quality, and variety of search results. Of course, I’ll add my own commentary to help give you a better picture of what I saw along the way. 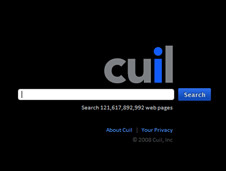 This is by no means a final test, but I think it gives us a good feel for how Cuil compares to Google right now. Let’s hop in. Cuil: This was easy, Cuil returned NO RESULTS. Are you kidding me Cuil? We’re talking about Jerry Maguire here! Both Google and Cuil returned good results, although I would argue that Google did a better job of providing more variety (giving you the ability to search news, blogs, etc.) I won’t knock Cuil too badly for this one. Let’s call it a slight advantage to Google. Google: Outstanding results. Google’s local results provided 10 local plumbers with the ability to read reviews, print coupons, watch videos, etc. In addition, Paid Search provided some interesting results too. I like the variety and the local search results. Nice. Cuil: Unfortunately, Cuil returned misc. plumber sites, no reviews, a few weird, off-topic results like Foreign Affairs Author Page (what??). Winner, Google by a mile! Google: Displayed a Google Maps one box listing at the top, with a link to the full Google Maps listing. There I had the ability to get directions and find the best route. Excellent. Google: Solid results. Great coupon code websites, with retailmenot.com at the top of the list (one of my favorites). Paid Search also provided some good coupon code websites. Cuil: Not so good. Although there were a few coupon code websites listed, there was one listed over and over again (allinonecoupons.com). I wasn’t thrilled with Cuil’s results and found myself wanting to see Google’s results again. Google: Image one box results with a link to Google Image Search. Needless to say, I found exactly what I was looking for in mere seconds in Google. There were also stock photography sites listed. Cuil: Random weirdness with almost no images listed. Come on Cuil…it’s the Statue of Liberty! I know images aren’t what you do well, but if you are going to rival Google, images have to be part of the equation. Cuil: I found some 404’s, random blogs, and overall average information. I wasn’t impressed. The State of the Union? Google wins the election in a landslide. So there’s my test and the subsequent results. You tell me, which search engine seems better to you? Would you stop using Google and use Cuil instead? I wouldn’t…at least not yet. I do hope Cuil improves and gains in popularity, but it’s not going to be easy. Cuil has a long way to go before the masses move to a new engine. Google simply offers higher quality results that are more relevant, along with a wider variety of content. And, you can further target your results by selecting one of the major tabs Google provides (like news, blogs, finance, images, video, etc.) That’s hard to beat.